Leading health charities have been universal in expressing their disappointment in yesterday's budget announcement that saw the chancellor Philip Hammond pledge an immediate £350 million sum for this winter followed by an additional commitment of resource funding of £2.8 billion to the NHS in England. The King's Fund said that the additional money for the NHS was a welcome shot in the arm as the service struggles to meet rising demand for services. But they were quick to point out that it is still significantly less than the £4 billion they estimate the NHS needs next year. Richard Murray, Director of Policy for The King’s Fund, said: "Even with this additional funding, the NHS will struggle to meet key targets and provide the investment needed in services such as general practice and mental health. "The significant increase in capital spending after several years of capital budgets being raided to cover deficits is good news. But to deliver the £10 billion package promised by the Chancellor, considerable sums of money will need to be raised through NHS land sales and other means to top up the £4 billion of extra government investment." He added that he was disappointed, though, that the Chancellor did not find any extra funding for social care, which faces a £2.5 billion funding gap by 2019/20. "While the forthcoming Green Paper offers the prospect of reform, any meaningful change is a long way off and will be of little comfort to the many people who need help now but cannot access it." Age UK also said it feared for the state of social care before the Government's promised Green Paper next summer. Caroline Abrahams, Charity Director at Age UK said there was little in this Budget to cheer older people. She said: "The extra funding for the NHS is welcome but we fear will do little more than slow down the decline in its ability to meet the needs of a growing older population as it is only about half the amount the experts said was required. Meanwhile the Budget's failure to acknowledge the enormous problems facing social care is desperately short-sighted and can only result in the numbers of older people going without the care they need, already disgracefully at more than a million in England, ratcheting up." 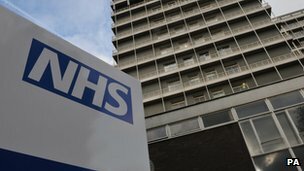 HS Providers said that the extra investment was welcome given the overall economic context and the other demands on public expenditure, but it was disappointing that the government has not been able to give the NHS all that it needed to deal with rising demand, fully recover performance targets, consistently maintain high quality patient care and meet the NHS’s capital requirements. Responding to the Budget, the chief executive of NHS Providers, Chris Hopson, said: “Tough choices are now needed and trade offs will have to be made. It is difficult to see how the NHS can deliver everything in 2018/19, for example fully recovering performance targets. The next step is a conversation with frontline leaders to clearly agree what can and can not be done. “We are also still trying to live hand to mouth without a sustainable long term financial and capital settlement for the health and care sector. This makes it impossible to plan effectively. The existing gap between demand and funding is still scheduled to grow significantly by the end of the parliament and we must address this underlying problem.